On Wednesday, a group of outstanding university students and Olympiad paid a courtesy visit to Iran’s supreme Leader Ayatullah Ali Khamenei. The Leader said one should not expect Trump not to be angry against Iranian force which supported Syrian and Iraqi people against ISIS terrorists created by the United States and its anti-Islam regional allies. 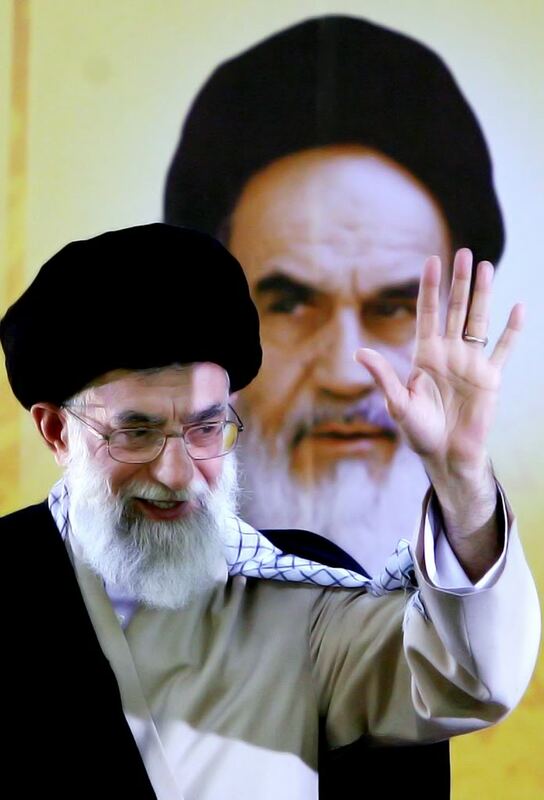 “As a servant of international Zionism, America is creator of ISIS and the Takfiri terrorism, and then you expect that it would not be angry against Iranian force (IRGC) which stood against its proxy ISIS,” Ayatollah Khamenei noted. The Leader also noted that unfounded remarks by US officials indicate their mental backwardness regarding issues of Iran and its neighborhood. The Leader advised the European leaders to ignore Trump’s threats against the nuclear agreement for their own national interests – and avoid meddling in Iran’s defense issues. On October 11, 2017, Roula Khalaf, deputy editor of Jew-owned Financial Times in an article warned that Trump’s idiotic policy on Iran had embolden North Korea. On October 20, London-based independent writer, Neil Thompson in an article claimed that Trump’s unilaterally decertification of the so-called P5+1 and nuclear agreement in 2015 would prove that why both China and North Korea cannot trust Washington as it invaded Iraq, Libya and Syria after those countries surrendered their WMDs. In October 2015, American writer and author Dan Sanchez in an article had predicted that the bloody war by Israel and its Zionist lobbyists in the Middle East was destined to fail. Watch the controversial nuclear deal explained below.